Flooring may not be the most obvious interior design element to be affected by fickle fashion fads, but with so many types available and advances in technology influencing choice, Brighton flooring preferences do vary over time. Here are some flooring trends you can expect to see for 2016. Whether you opt for laminate flooring, wood, vinyl or carpet, the colour of choice for flooring this year is grey. This once seldom-used colour in the home is steadily winning votes amongst interior trendsetters. Black and very dark brown are also firm favourites for 2016, while, at the other extreme, white blonde flooring is set to appeal this year. Patterns and parquet are big on the agenda this year, as homeowners seek character, personality and form in their flooring. Bold patterns, wide planks and quirky geometric shapes will trend this year across wood, vinyl and laminate flooring. 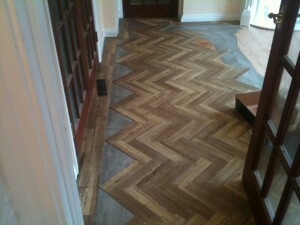 Getting a new floor this year is all about it looking old and worn, whilst retaining unique character and durability. Reclaimed wood from old houses or barns, planks with knots, grains and imperfections will be highly sought-after this year. As technology advances, flooring options are increasing and becoming more realistic in their attempt to mimic natural products such as wood. This year, vinyl is expected to up its game further, with luxury vinyl being a hot new flooring contender. Choosing environmentally friendly options for the home is not a new concept, but it will still be a dominant feature for 2016. Consumers will be seeking out reclaimed materials, as well as natural products and fibres for their flooring. Carpets will become softer as wool becomes a preferred choice, while ‘green’ synthetic materials made from recycled products will also heavily feature. Cut and loop styles of carpets are also trending for 2016. The days of having different flooring in each room of the home are getting fewer, as more of us seek to create a consistent look and feel in our homes. 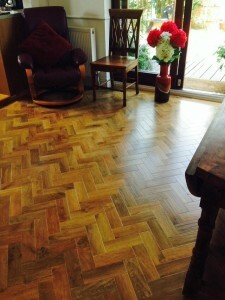 Laminate flooring will be big this year for creating a unified flooring approach.